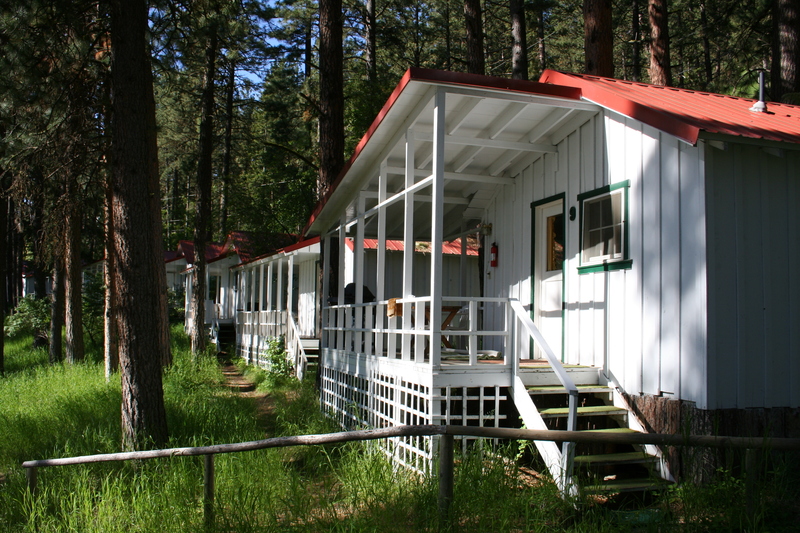 Ten self contained cabins with a cozy atmosphere. Enjoy a cup of coffee in the morning on the covered porch while listening to the birds and an occasional fish jump in the lake. 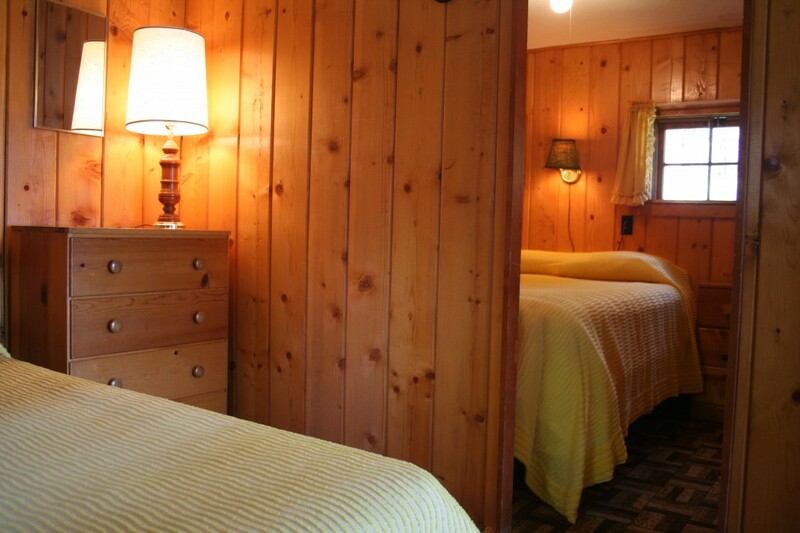 All cabins are comfortably furnished with bedding, cookware, dishes, microwave, electric coffee maker, percolator coffee pot, towels, refrigerator with a cooktop stove, toaster and gas barbecue. 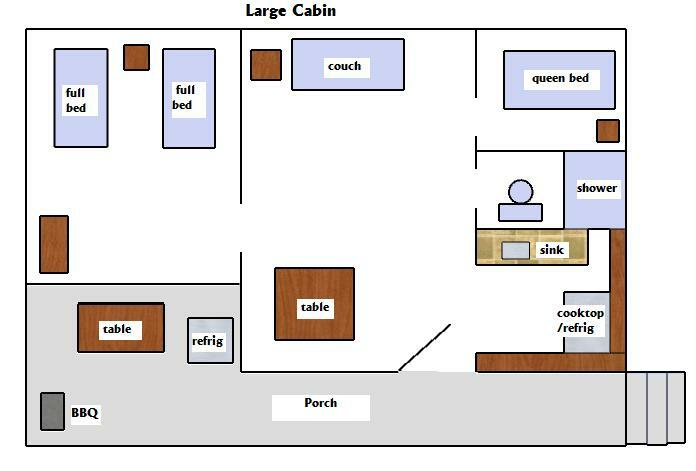 *Please note that not all small cabins are this exact layout. *Pet Policy: Pets are not allowed in July and August (rare exceptions). Certain dogs may be allowed at Trouthaven in June and September at a rate of $10 per pet per night. 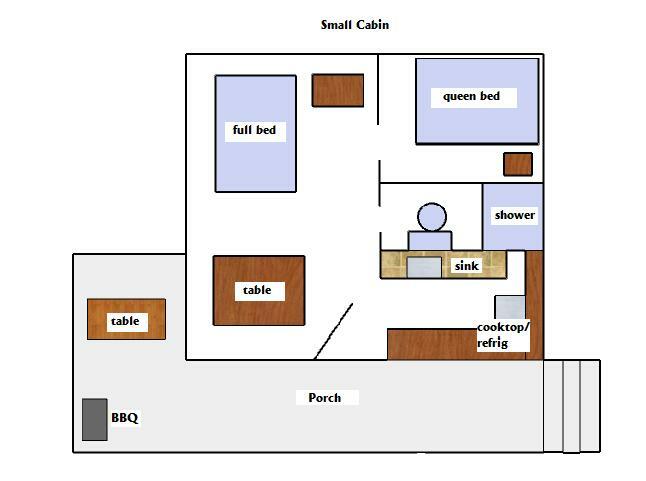 This is depending on number of other guests, breed of dog and temperament of the dog. Please note that if a problem arises with the animal, you may be asked to board the dog at a local kennel. *Deposit: A $200 minimum non-refundable deposit is required to confirm reservation.